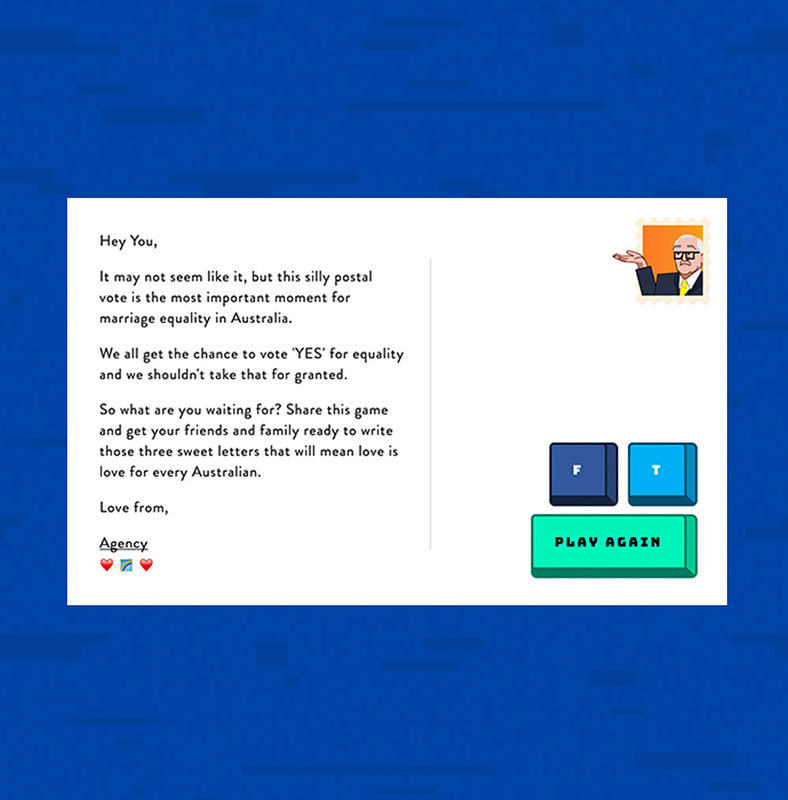 Due to the level of difficulty in responding to the postal survey, and lack of consequences for failing to do so, inaction was the greatest threat to a ‘Yes’ for marriage equality in Australia. So we at Agency wanted to create a piece of fun, easily shareable content to remind people to get out there and vote – no matter how difficult it is. 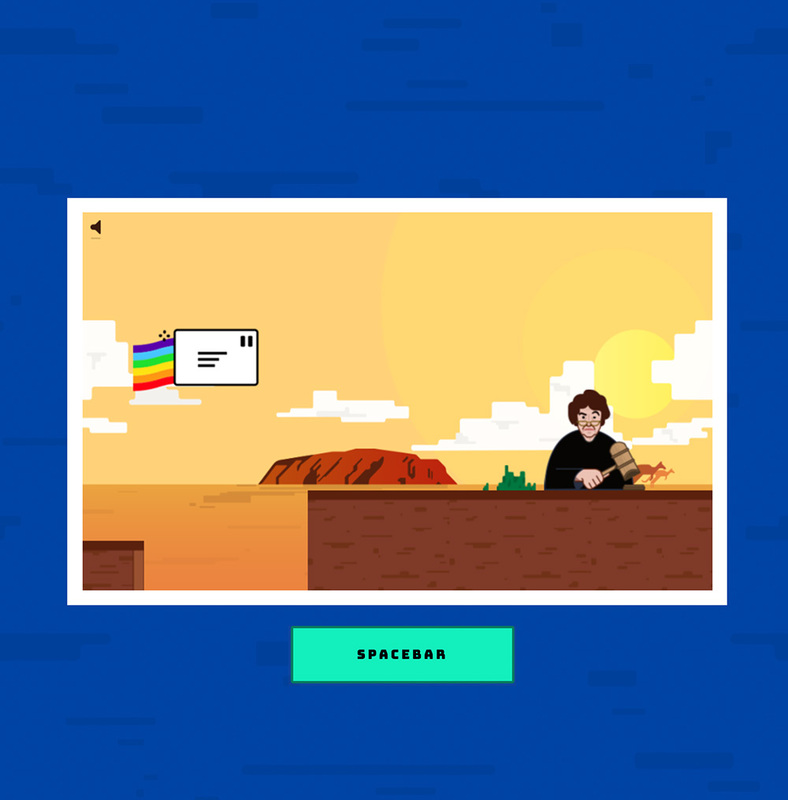 We ended up creating a tricky retro runner game that challenges players to get their Yes vote to a post box through a host of obstacles. 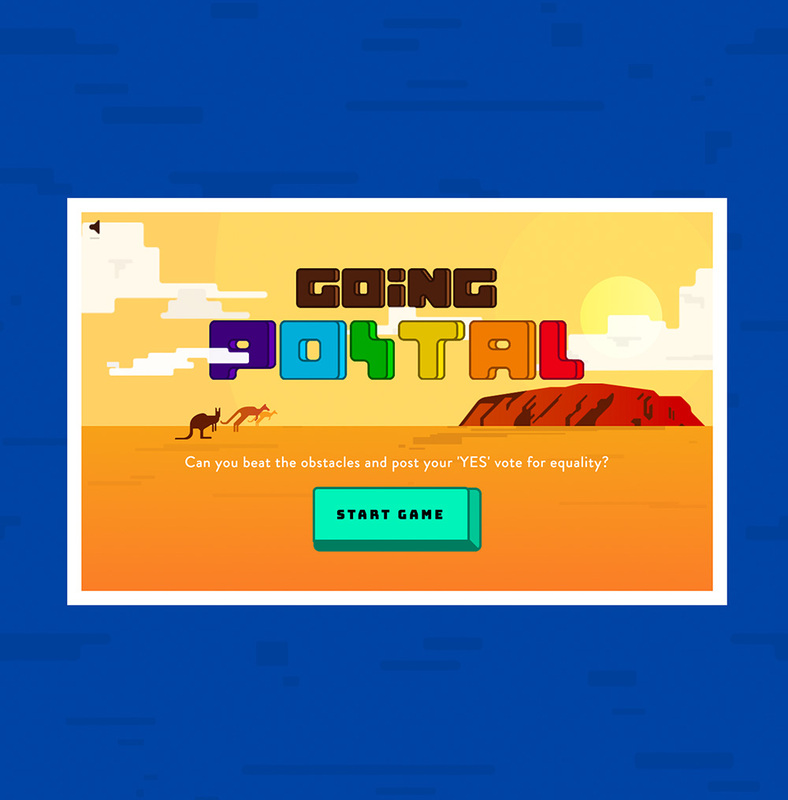 The game may be silly — almost as silly as the postal vote itself — but our hope was that it kept the ‘Yes’ vote front of mind for our fellow Australians.